Bookmarked for a later date. I read this on holiday--most illuminating! 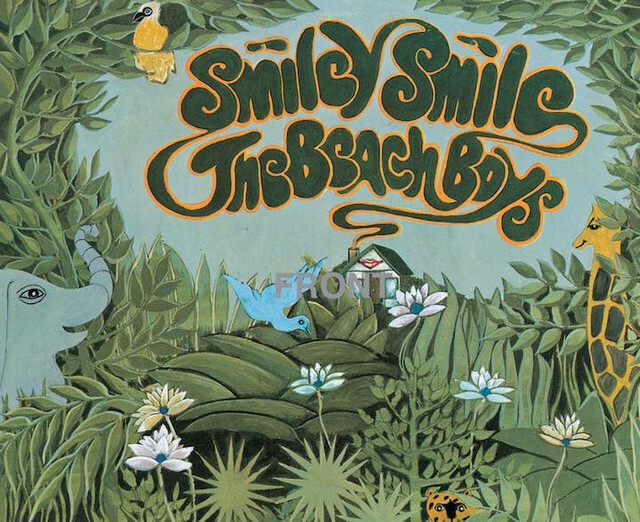 It was, at the time, an album of what might have been, but Smiley Smile is nonetheless a fascinating chapter in the story of the Beach Boys. The album made its US album chart debut on 30 September 1967. 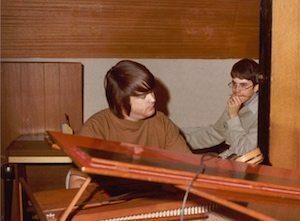 The early weeks of that year saw Brian Wilson experimenting with ever more sophisticated studio techniques in his quest to follow the groundbreaking Pet Sounds opus of 1966. 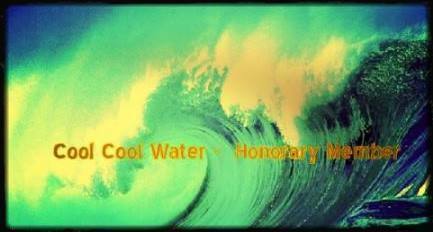 The first working title for the new project was Dumb Angel, which later changed to the name that would become legendary among legions of fans as the great lost Beach Boys record, Smile. The ambitious ideas and often eccentric methodology that Wilson explored with lyricist Van Dyke Parks, for what was envisaged as an even greater sonic tour de force than Pet Sounds, were often met with bemusement by Brian’s band members. Huge sections of what was recorded were subsequently abandoned, and became the subject of great conjecture among devotees for the next four decades. In more recent years, Wilson let audiences into his creative process of the period, firstly with the 2004 live performances that became the Brian Wilson Presents Smile album, and then via Capitol’s The Smile Sessions box set, which set out to reassemble much of it in 2011. But at the time, what remained of the work was gathered together on Smiley Smile. 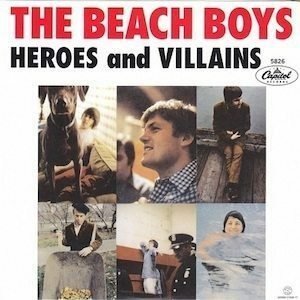 It was something of a curate’s egg of a disc, onto which Capitol placed the previous year’s masterwork ‘Good Vibrations’ and a tantalising glimpse of what might have been, in the epic ‘Heroes and Villains.’ The song charted in the summer and performed well, reaching No. 8 in the UK and No. 12 in the US. 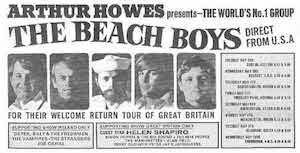 British audiences, indeed, remained loyal to the Beach Boys through the year, also giving them an unlikely hit with the incongruously belated release of ‘Surfer Girl.’ Even as the Smile sessions were unravelling in May, the group (minus Brian) were delighting British audiences on an eight-date, two-shows-a-night tour. Smiley Smile included several whimsical and sometimes downright peculiar material, such as ‘Vegetables’ and ‘She’s Goin’ Bald,’ but it was also home to Carl Wilson’s lovely vocal interpretation of a Parks lyric and his brother’s melody on ‘Wonderful.’ American audiences never fully embraced the album, which peaked there at No. 41; in the UK, it didn’t enter the chart until November, but spent four weeks in the top ten and peaked at No. 9. It was a positive end to a difficult year.